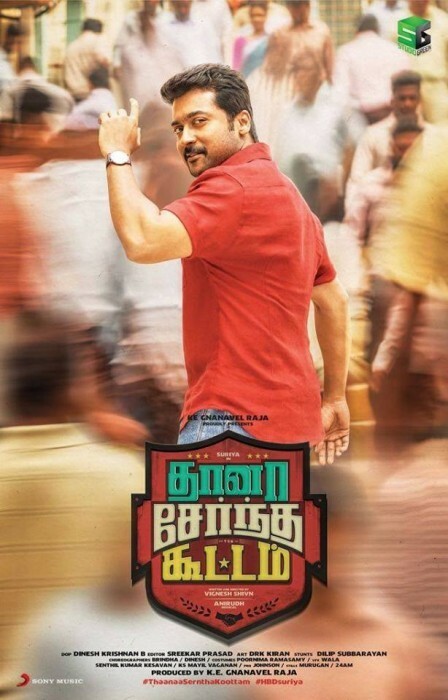 In just over 10 days, Thaana Serntha Kootam has collected Rs 90 crore worldwide and proved to be a big commercial success. In case you did not know, ‘Thaana Serntha Kootam’ is a crime-thriller and has been directed by Vignesh Shivn. Loosely based on the Hindi hit ‘Special 26’, it also features Ramya Krishnan and the lovely Keerthy Suresh in key roles. Its music has been composed by Anirudh Ravichander and has a youthful feel to it. Recently, at the Thaana Serntha Kootam success meet, Suriya had said that th film was quite important for as it helped him break several stereotypes regarding HIS IMAGE. “This has become a very important film for me. The reviews have been very good for the movie and the feedback I have received is that a lot has been broken in this film, from what I’ve done in my past four to five films. A lot of people have been saying I should do more films like these and the sole reason for this is Vignesh ShivN. Anirudh’s music has crossed borders and taken this film everywhere. All the technicians and actors are very important, and I will not forget this experience,” he had SAID. With TSK in the rearview, Suriya will turn attention to his film with Selvaraghavan.